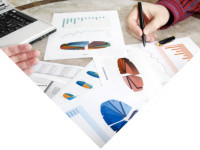 Is it such a big deal to implement a PLM system in a small or medium sized company? Most people who know this business claim that it is, but Autodesk’s CTO Jeff Kowalski disagrees. “Yes I do, I don’t think it is,” Kowalski said in this TV-report. As a matter of fact, the visionary Autodesk top executive claims that, “within ten seconds of a phone call with us,” you can have Autodesk’s PLM 360 software up and running. While that is a symbolic statement to illustrate how easy and fast it is, his words still hold a good portion of truth. 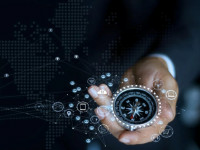 PLM 360 is a realistic option for small and medium sized businesses (”SMBs”), as opposed to the traditional complex systems developed for large corporations operating in advanced and often global environments, claimed analyst Monica Schnitger. However, Neill Briggs, product development director and co-founder of British car maker Briggs Automotive Company, goes further than that. He calls PLM 360 “a total game changer” in the case story covered in this TV-report. 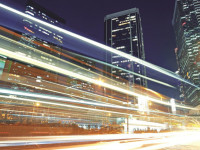 “PLM 360 will allow us to accelerate even quicker than we are currently. We’re already a disruptive business,” Neill Briggs asserted, pointing at the one-seated vehicle his company is producing that is probably the world’s first street-legal race car. One of the interesting things in the PLM industry is that we have seen a boost of visionary ideas during the last few years. 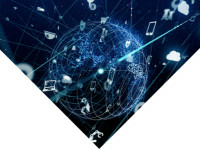 In a business that early on regarded Dassault Systèmes’ CEO Bernard Charles as the only true visionary competition, disruptive new technologies have inspired new personalities who have great ideas centered around coherent PLM solutions to step into the limelight. 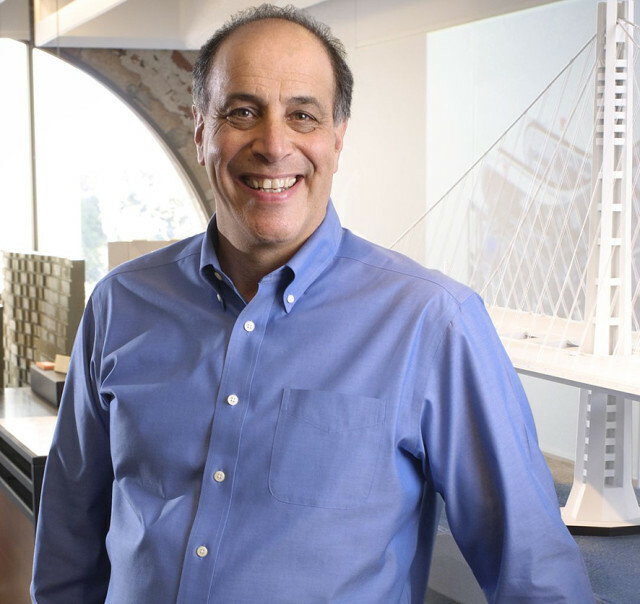 Autodesk’s two top leaders, CEO Carl Bass and Jeff Kowalski, are good examples. This company used to be regarded mainly as a CAD provider; Bass and Kowalski changed that. Not only did they have an idea about a solution that would cover almost all areas from product definition, simulation, visualization, data management, CAM, 3D printing and more, they also decided that the Cloud would be the ideal environment in which to put all these capabilities. In the Cloud, Autodesk could provide infinite computing resources and an infrastructure beyond what any company could set up by themselves. 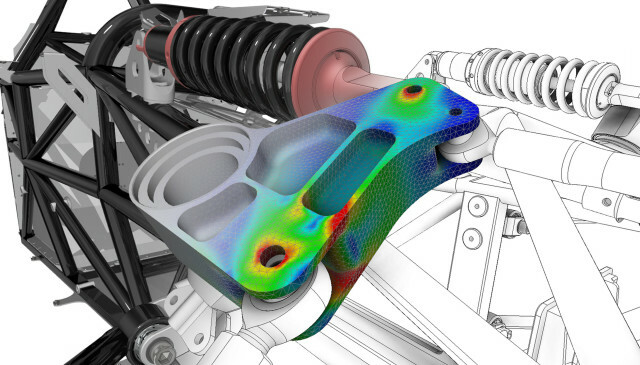 “New technology platforms such as the Cloud made our PLM 360 solution possible,” said Autodesk’s CEO, Carl Bass. “That’s right,” he said to the PLM TV News team. “Our vision of PLM is that we have design, make and use all together in a closed circle. Regarding the design component, we actually think we’ve got a great set of collaborative tools for doing design for really well-investigated parts and assemblies, collaboratively. We’ve got that part up front. Connecting that to ‘make,’ to manufacturing, that’s that next step we’ve got already embedded inside of Fusion and leveraging the good products we have in Delcam. 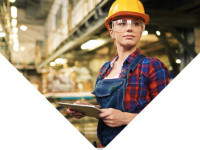 For a smaller company like Briggs Automotive, the PLM 360 backbone brings many business automation capabilities to the table. And Neill Briggs is enthusiastic about it; a feeling he shares with many of Autodesk’s PLM 360 customers. During Autodesk’s recent Accelerate event in Boston, I spoke to several other PLM 360 customers who had the same positive reactions to the system. The simplicity of implementation and configuration is attractive, and the users are generally positive about key functionalities in the business automation areas like BOM, change, quality and cost management and supplier collaboration. When it comes to PDM, there is still some work that remains to be done before the complete Cloud PDM solution will be up and running. Fusion has gone live on the Cloud PDM platform, which is one important step on the path to the complete solution. Additionally, Autodesk’s on-premises PDM software Vault has Cloud integration via Jitterbit. 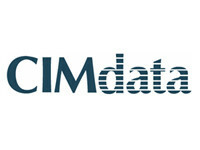 The latter is also the main integration point when it comes to ERP. “But we also have an ambition to extend the integration well beyond the traditional process and data driven integration into what we are calling the evented web,” Autodesk’s product manager Jared Sund told me during Accelerate. 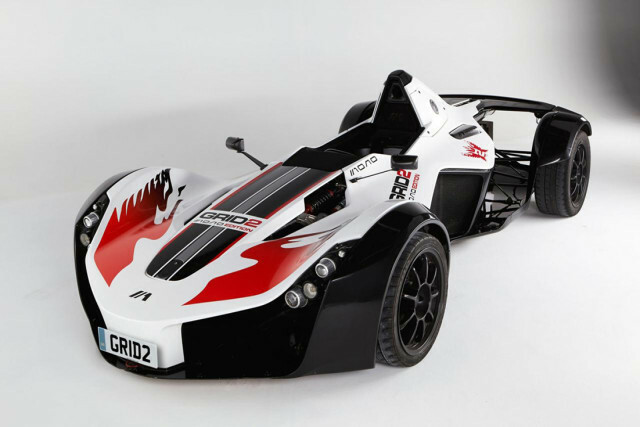 BAC Mono is a one-seat race car allowed on common streets. “It accelerates faster than Porsche Carrera and Ferrari,” claims Neill Briggs. We’re talking about a one-seat vehicle, which is not only faster than a Porche Carrera, but also beats the acceleration of a Ferrari. 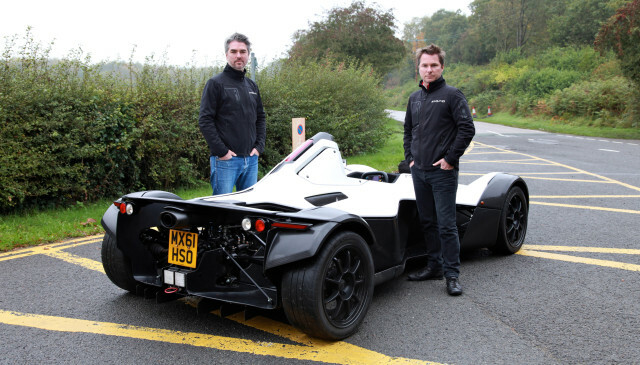 It is the world's first street legal racing car, called BAC Mono. If Neill Briggs, who founded the company together with his brother Ian, gets what he wants, Liverpool will not only be famous because of the Beatles or its soccer team, but also for Briggs Automotive’s advanced supercars. This means that the BAC Mono is designed and produced with no compromises. Briggs’ design team has their own perfomance targets and all the attributes that they have in the car ultimately come down to lap time. That’s what the customers wants, and that’s what Neill Briggs’ team gives them. This process results in an amazingly fast car. Part of the secret is the low weight – less than 1,200 pounds (545 kilograms)­ – in combination with the 305 hp engine which gives it a power-to-weight ratio over 520 hp per ton (1000 kilograms). Naturally, a car like this demands a lot of engineering work, and it’s not hard to see why a PLM system is needed to keep “law and order” in product development, manufacturing, administration and services processes. “Yes, that’s the way it is. We have over 2,500 parts on the car, we have 450 billet parts for example, 44 prepared carbon fibre parts. So there’s a complexity of numbers, of different materials, different assemblies and so on, and in order to organize that complexity, PLM 360 is a welcome addition to our business. It complements all the other Autodesk tools that we already use, mostly in the product development area, things like Sketchbook Pro, Alias, Maya, Inventor, of course, and then obviously the simulation tools. So, PLM 360 will be a way in which we can bring order to our business. 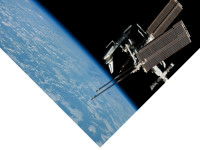 Not just as a part of the product development process, but the entire business process,” said Briggs. 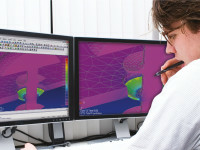 Simulation of a BAC Mono part, one of 2,500, in Autodesk’s software environment. The challenge is to design all the components to be as light as possible while maintaining structural integrity. The combination of linear static and fatigue studies ensured that the front rocker not only withstands loading conditions, but also lasts through a lifetime of usage. In this context, the Briggs product development director points at BOM management, at the administration of the engineering team, as well as the manufacturing, procurement and service teams and how Briggs Automotive manages spare parts, including distribution all over the world. As for the future, he aims to develop predictive maintenance: how they can predict maintenance needs based on usage of the cars, and supply spare parts in advance. One of the challenges for Briggs Automotive is that each car is tailored for the individual user. No car looks like any other; individual variation is the hallmark of how the vehicles are produced. All of that needs to be controlled, and thankfully that’s where PLM comes in: to bring order both to the company’s internal processes as well as the suppliers. 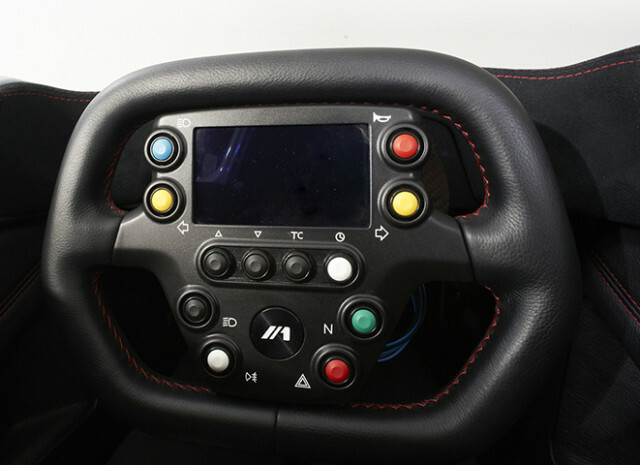 The steering wheel where the driver grips is also made to measure with the drivers hands. From there, that clay is scanned and the part is 3D printed. So what about Jeff Kowalski’s, “ten seconds before you’re up and running”? Well, Autodesk’s PLM 360 director of strategy and marketing, Ron Locklin, is probably closer to real-life events when he says that an implementation process of at least two weeks is needed. But on the other hand, that is actually more than good enough when compared with what the competion can offer. Monica Schnitger, analyst at Schnitger Corp.